Dexter has taken a dummy since he was a couple of weeks old. We found it useful to settle him in those early days, as well as trying to stretch out time inbetween feeds as he got a little older. A lot of people have their opinions of dummies, but they have worked for us, despite causing a couple problems along the way. I tried a plethora of different brands with Dex, but he has only ever really taken to MAM dummies. I was given some beautiful dummy clips as a present when he was a newborn, but none of them were MAM compatible, so were never really used. 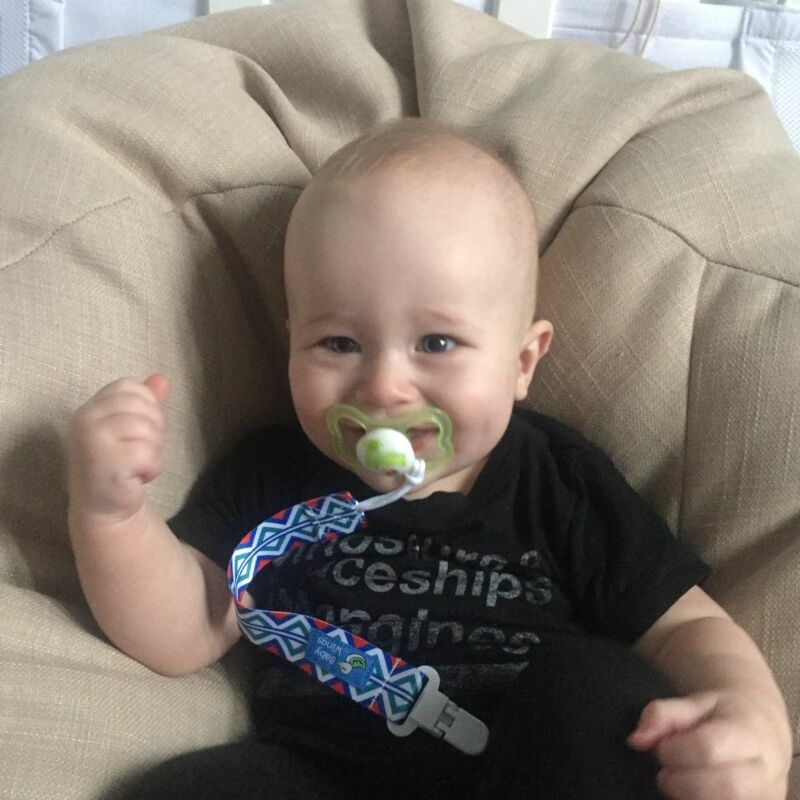 When we were given the opportunity to review Baby Wings dummy clips, I jumped at the chance. They are described on their Amazon shop as being a universal fit. I was excited. The biggest problem we have encountered is when I am driving and Dex drops his dummy. Invariably, it lands outside of his reach. Sound familiar? There was one particular unpleasant journey from Liverpool to North Wales where I had to pull over four times to try and retrieve the dummy and pop it back in his mouth. It’s not nice for either of us when he is screaming his head off because he can’t find the blasted thing. It wasn’t exactly safe for me or the other road users either! The other problem comes when he drops the dummy when we are out and about and I haven’t brought a spare. Yep, I am not the most organised of Mums, even now, seven months in. I was hoping that these Baby Wings dummy clips were going to help solve my problems once and for all. It took me a little while to understand how to undo the clip (baby brain I hope!) and once I’d figured it out I was impressed with the plastic grip. I love that it cannot rust and has no sharp edges. I was also confident that Dex wouldn’t be able to figure out how to unclip it, considering it took me a few minutes to work it out. My favourite bit, as already mentioned, is the fact that these clips are universal. 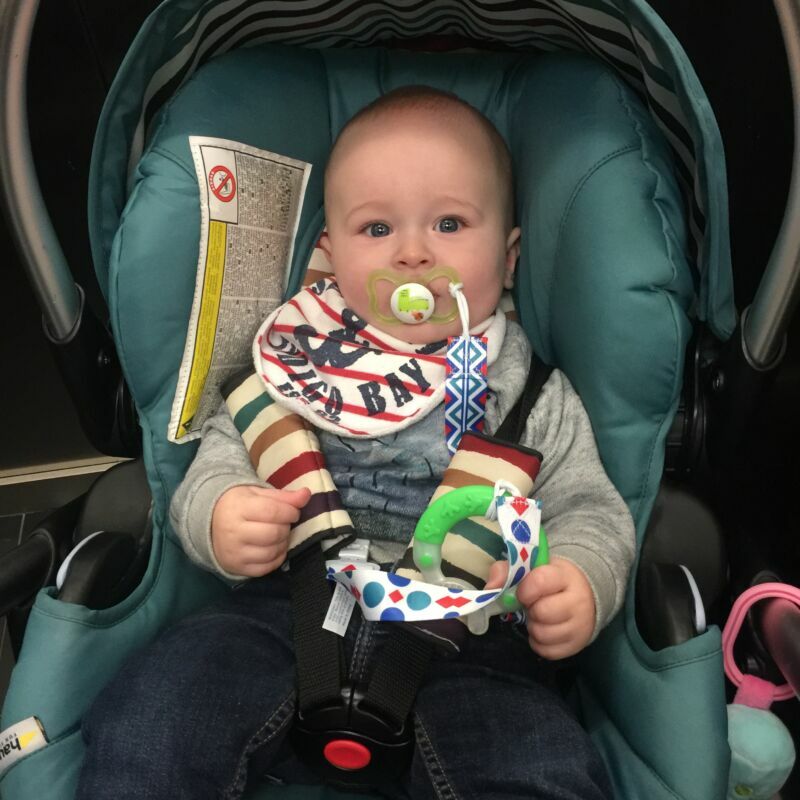 I can fit any of my MAM dummies onto them as well as a few other bits and bobs such as his favourite MAM teether and a small pram toy which keeps him entertained in the car. Our first trip out in the car to Walton Hall Gardens with the Baby Wings dummy clips was a success. The drive took around 45 minutes and there was no crying from Dex because each time he dropped the dummy, it was in reach for him to pick up. This didn’t stop me getting lost on the journey of course, which is why it took 45 minutes instead of half an hour! But I can only expect so much from a dummy clip…! I’m so happy that we now have these Baby Wings dummy clips in our lives. A lot less stress for me, and a dummy always in reach for Dex. It’s win-win! 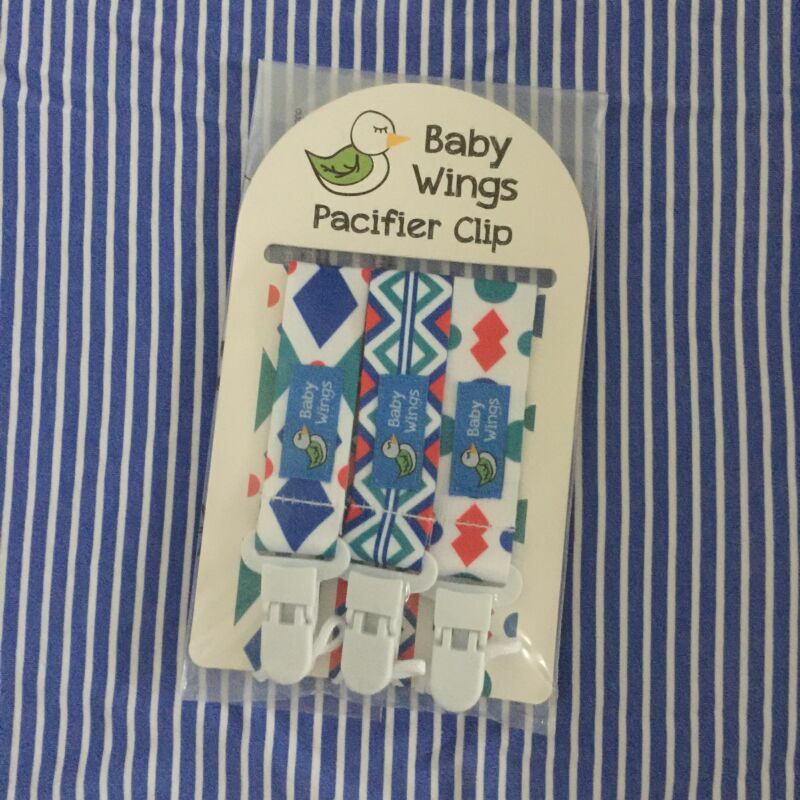 Disclaimer: I received a pack of Baby Wings dummy clips in exchange for writing a review on the blog. All views and opinions are my own and were in no way swayed by the free product. Great review. We don’t use a dummy but I quite like the idea of using it for holding a teething ring! Will have to check them out. Hello Nicola, This is soooooo cute! You are very creative and I love your blog….I will be back! Thanks for sharing!!! My daughter never used a dummy but I love these little clips, so handy and lovely designs.